I used these for Chocolate Covered Strawberries. Sturdy, high quality. Will use again. I use these for 2 doz sugar cookies and i am beyond impressed with the quality. They are sturdy, they look great and arrived very quickly! Love them!!! 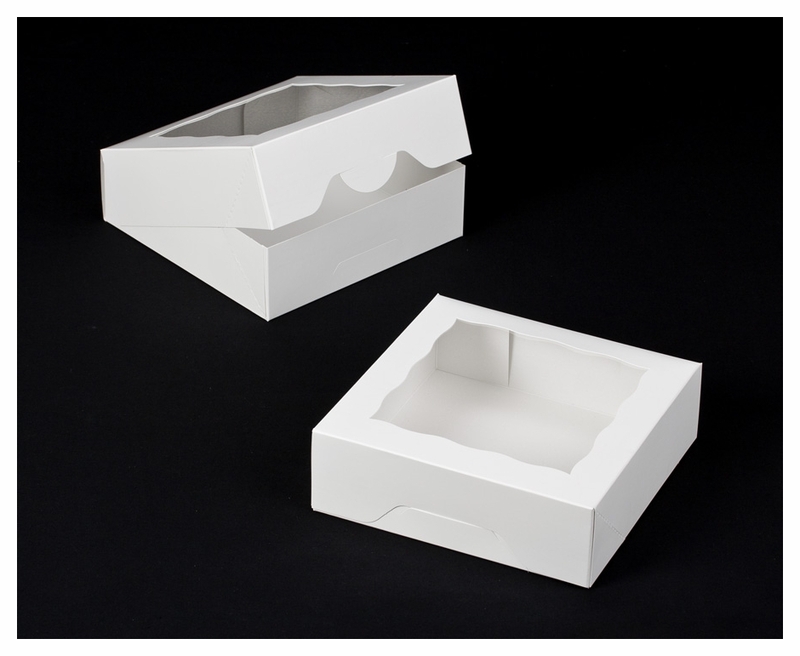 These boxes are perfect for packaging my hand-decorated shortbread cookies. I can easily fit one dozen large cookies and packing material in a box and I love the way you can see the cookies through the window. Easy to assemble, they stay securely closed and are sturdy enough to protect my cookies. Best UsesProtecting and showcasing hand made bakery items. The perfect size for cupcakes cake pops and more! Love these boxes. Perfect size for packaging two dozen cookies. It took me a while to find the perfect box. 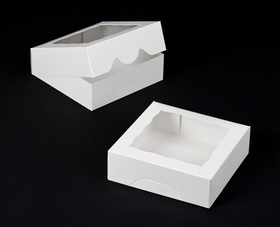 Until I found brpboxshop.com I order these 8x8x21/2 white boxes and I loved them. They are excellent for my products. 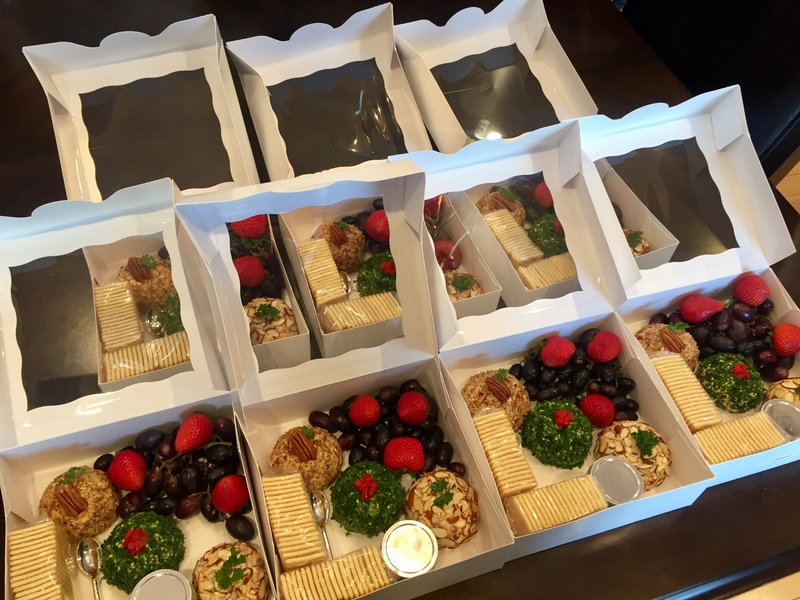 Mini Cheese Balls, pastries and even cupcakes! Great for Chocolate Covered Strawberries! I've been looking for boxes that comfortably fits 1 dz of choc covered strawberries and this size if perfect! Love that they come already semi- folded and put together. Well made! The boxes are always the highest quality. If the size you want is available in the timesaver version, it's always worth the extra money. they are great. Good, efficient service/shipping too.